EastEnders stalwart Peggy Mitchell wails with horror as she sees her beloved Queen Vic and the memories of a decade and a half in Albert Square - go up in flames. The landlady, played by Barbara Windsor, watches as her beloved boozer is engulfed in flames, marking the end of 16 years of brawls, bust-ups and barbed comments during her tenure on the show. 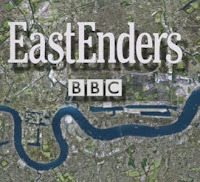 The inferno begins after her crack addict son Phil Mitchell sets fire to the Vic, ripping the heart out of Walford. Dramatic pictures from tonight's (Thursday) episode show the landlady's moment of realisation that the blaze has spread beyond her control. As it dawns on her that Phil is trapped in the blaze, Peggy makes a desperate bid to rescue him, unaware that Stacey Branning and her baby Lily are also stuck upstairs. The mouthy matriarch is leaving Albert Square after 16 years in the soap, although it is unclear whether she perishes in the fire. Show bosses remain tight-lipped as to whether anyone makes it out of the blaze alive.